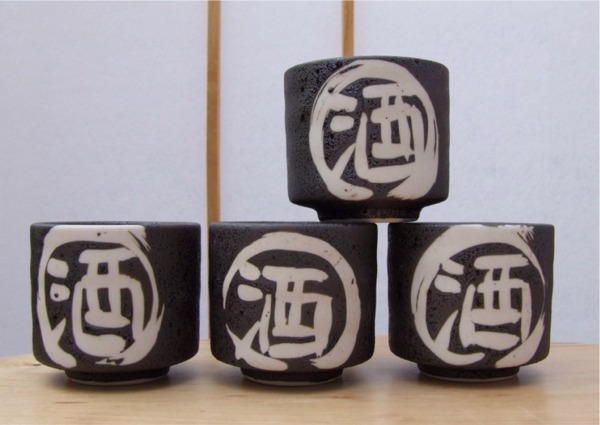 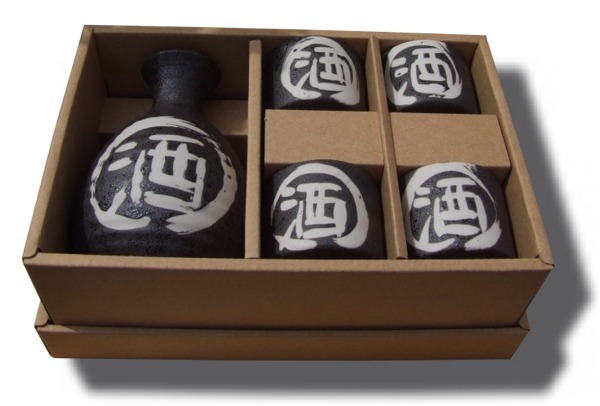 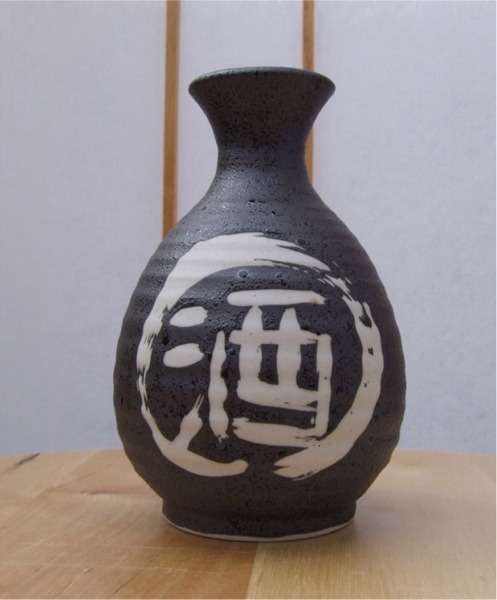 This is a beautiful Japanese sake set that features a black glaze and white calligraphy with the word for wine in Japanese. 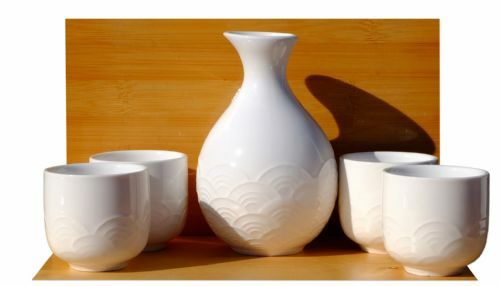 There are four sake cups and one bottle. 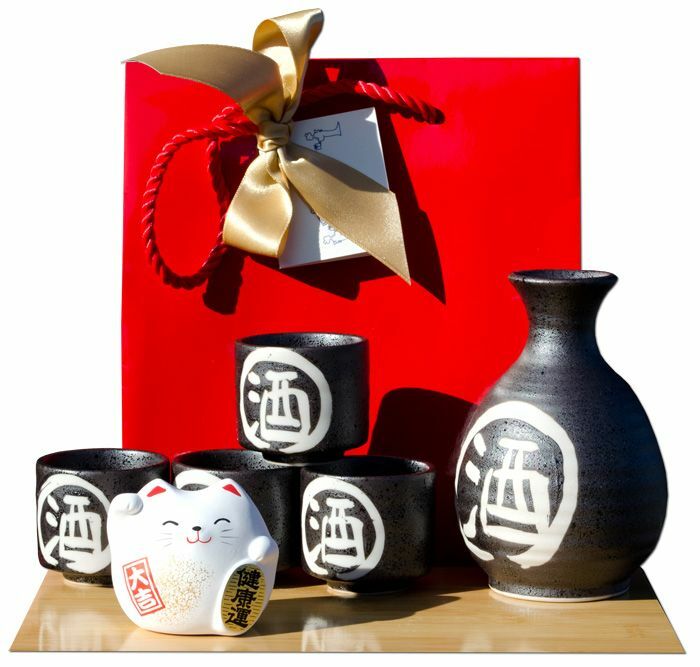 The item is new and comes in its original box. 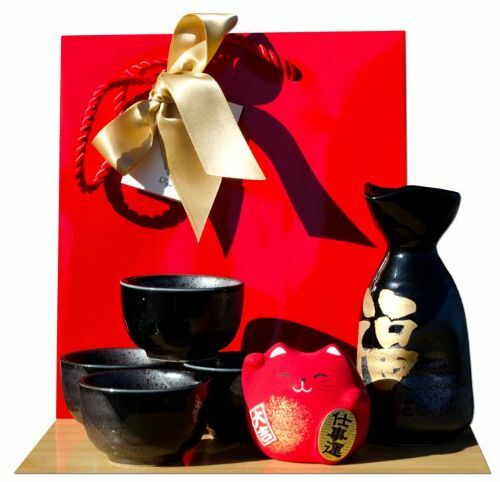 The set has been made in Japan.